Fateful special forces operation in Gaza wasn't planned as targeted assassination of Hamas leader, IDF says. An IDF operation deep inside the Gaza Strip overnight which culminated in the deaths of seven Hamas terrorists and the loss of an Israeli officer was not planned as a target assassination, Israel's top military spokesman said Monday. At least seven Hamas terrorists were killed Sunday night during fighting with IDF forces inside the Gaza Strip. One of fatalities included a senior officer of the Hamas military wing. One IDF officer, identified as Lt. Col. M., was killed in the fighting, while a second officer was moderately wounded. “During the night (Sunday), special forces of the IDF’s elite unit entered Gaza in an operation. 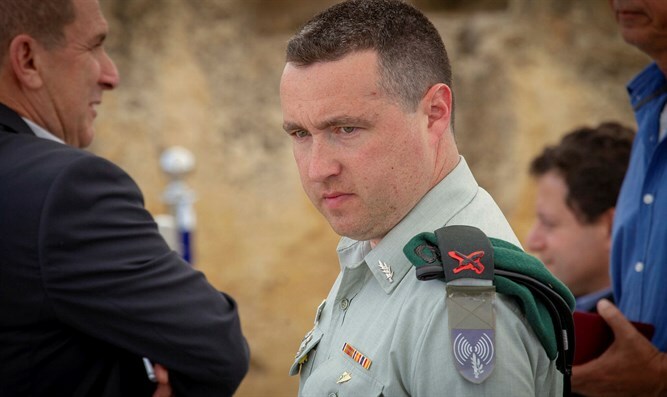 The operation deep behind Gaza lines, had been in the planning for a long time, ” says Brig. Gen. Ronen Manelis of the IDF Spokesperson Unit. Manelis emphasized, “During the operation, Lt. Col. M, a true hero, had been killed, and with him another soldier had been moderately injured." Reports circulated by Arab media outlets Sunday night claimed that an elite IDF unit drove into Gaza in a civilian car. There reportedly was a complication in the mission that resulted in an exchange of fire between the IDF forces and Gazan terrorists. At the time, there were rumors of a kidnapped soldier, which was later shown to be false. Israeli schools in the Gaza area have been closed for today (Monday) following last night’s events. Brig. Gen. Manelis reassures the public that the army will increase in manpower and readiness for any scenario.